Streamline operations across the entire service chain on one platform to deliver a connected customer experience with Field Service Lightning. With Field Service Lightning, you can transform the connected customer experience and equip your agents, dispatchers and mobile employees with the tools they need to deliver a powerful customer experience anytime, anywhere and via any mobile device. The collaboration with SalesFix has been extremely positive, from support to ensure we get the most from Salesforce, to custom configuration to suit our business. What is Field Service Lightning? Field Service Lightning is a single platform that connects your entire workforce – enabling faster, smarter and more personalised on-site service for your customers. Not only does it allow for your employees to stay on top of things, but it also provides customers with the ability to easily book their own appointments in a customer community. Field Service Lightning provides invaluable tools for all team members from the bottom of the chain to the top. Can access the all-in-one mobile app that provides them with all the information they need to successfully complete each job. They can view parts needed, the steps required for each task and even get directions to the site. Have access to appointment booking where they can view detailed case feeds, live milestone tracking as well as worker skills and knowledge. Can view and manage all scheduled appointments from the dispatcher console, coordinate resources and use Map View for real-time oversight of all field workers. Capable of tracking resource management in the field as well as key customer and employee metrics for ensuring operations are as efficient and productive as possible. Vital to the success of the Quickstart, we take a collaborative approach to ensure we fully understand your business objectives. Our processes document everyday activities, allowing us to swiftly implement business process. We provide training and support to realise the effectiveness of Salesforce® Field Service Lightning & how it benefits your business. Who is Field Service Lightning for? Field service management ensures you get the best from your mobile workforce or contractors. Industries such as child care, transportation, telecommunications, vending machine services, landscaping, and cleaning services are just some of the many areas where mobile workforces are employed and need to be managed. Field Service Lightning gives your employees access to everything they need to know to quickly and efficiently perform their tasks – keeping your customers happy. Map your current business processes & identify a future road map. Ensure your processes are as efficient & productive as possible. Track SLA compliance with Milestones. 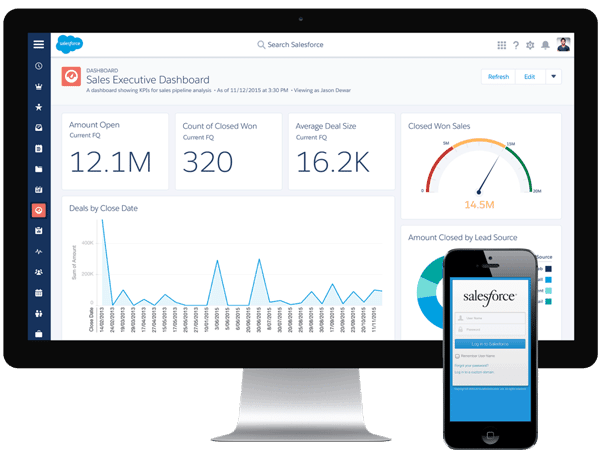 Integrate work orders with Salesforce Accounts, Contacts, Cases and other objects. We provide up to 8 hours support and training to encourage adoption and ensure you are getting Return on Investment. Bringing the full power of on-site job management to your mobile workforce. Have jobs automatically assigned to the right resource. As one of only a handful of Salesforce Gold Consulting Partners in Australia, SalesFix transforms businesses and connects customers, partners, and employees with streamlined systems. Our Salesforce Field Services Lightning Quickstart service will have you and your team geared up and ready to go in no time. We enable you to get the most out of Field Service Lightning and help you hit the ground running. Equipped with key information from our consultation with you, we can provide individualised support tailored to your business. We provide expert training that will streamline the entire process of incorporating Field Service Lightning into your daily operations.